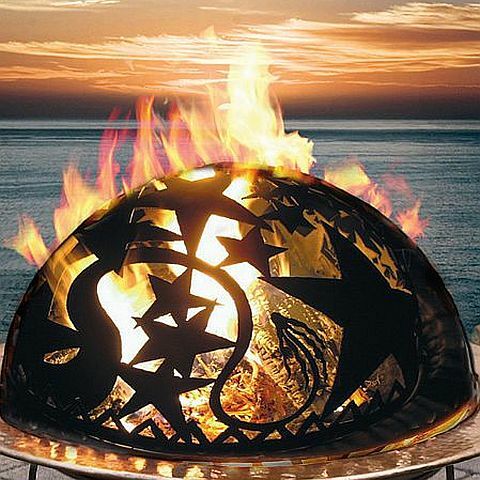 The Orion Fire Pit Dome is the perfect addition to your existing fire pit. This 26" diameter fire pit dome features durable steel construction with a protective spark screen and will fit many 34" diameter fire pits. The unique fire dome has a design of Orions Belt with Stars and will be the hit for your next backyard get together. Dimensions: 26 inches in diameter and 13 inches high. This is the fire dome only and does not include the fire pit.